This outstanding regional museum brings the stories and personalities of Mangawhai's past to life in a way that's engaging and fun. It's one of the best local museums we've had the pleasure of visiting but their existing website wasn't telling that story. It was time to step it up when it came to promotion and a top notch website is a vital part of that effort. One of the key frustrations with the existing website was that only one person, with web development skills, had access to update it. If they weren't available, updates simply couldn't be made. That's an easy problem to fix but more importantly, we needed to make sure that the new site would be as engaging as the museum itself and would really sell what's inside. We started with a tour of the museum, with camera in hand, to get to grips with what was inside. It was obvious to us that the site we built needed to give people a glimpse of what's inside - without giving too much away - and to make it easy to find all the information needed to plan a visit. We used a grid-based approach with plenty of photos to create a site that's warm, engaging and provides snippets of information, along with photos, to entice visitors. 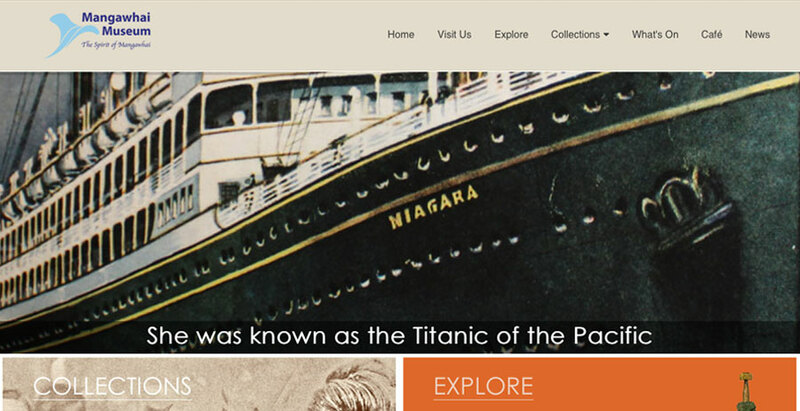 To allow the museum's manager to easily update the website as required, we used Joomla as the website's framework. We added an events calendar with ticketing function as well as an online shop to allow for sales of popular historical booklets published by the museum, so the site truly earns its keep by acting as ticket vendor as well as encouraging increased visits.